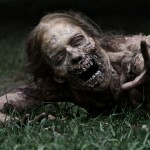 On May 31, 2012, The Centers for Disease Control made it official: Zombies do not exist. 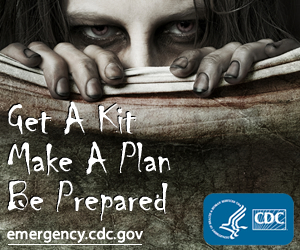 Despite some emergency preparedness promotional materials that were always meant to be tongue-in-cheek (or in exposed jaw, as the case may be), the CDC came clean on its macabre zombie campaign following the cannibalistic acts of one Rudy Eugene five days earlier (http://www NULL.miamiherald NULL.com/2012/05/26/2818832/naked-man-shot-killed-on-macarthur NULL.html), who, in what was first assumed to be a drug-induced delirium due to “bath salts” (which an autopsy has since disproven (http://www NULL.miamiherald NULL.com/2012/06/27/2871098/mes-report-eugene-had-no-drugs NULL.html)), gnawed off most of a homeless man’s face at a Miami parking garage. To some degree, most cultures throughout history have believed it possible for the dead to return. 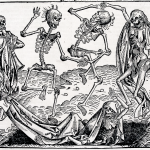 Not merely as non-corporeal ghosts returned to haunt the living or as vampiric entities possessed by demons, but revenants — animated corpses who have returned (as the name implies) to usually exact some revenge. Creatures of singular purpose as described in the works of William of Newburgh (http://en NULL.wikipedia NULL.org/wiki/William_of_Newburgh) (1136?-1198?) and the English Abbot of Burton, writing in 1090. The medieval European revenant, however, seemed to be satisfied to work alone. At most, in pairs. Not, as Ishtar promised, where the dead would outnumber the living. 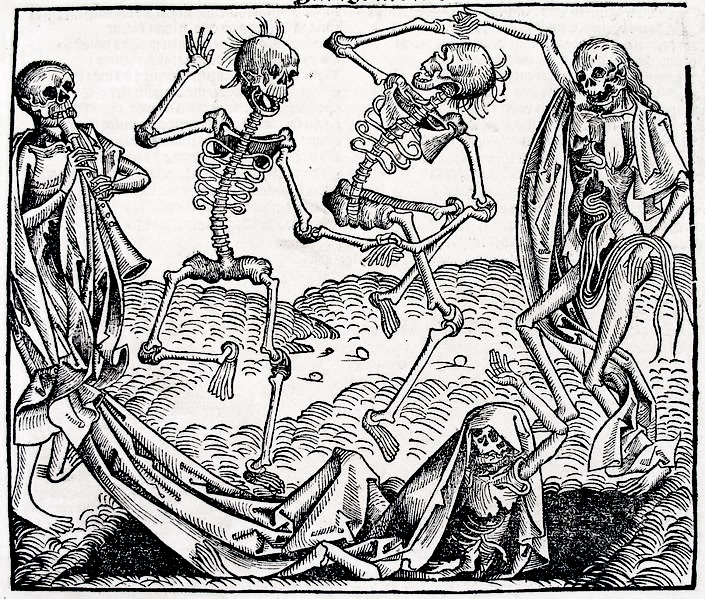 And so centuries passed with the mythology of the dead getting mixed up in the latter medieval Danse Macabre, a momento mori consisting of the dead or personified Death summoning representatives from all walks of life to dance along to the grave (see The Dance of Death (1493) by Michael Wolgemut to the right). 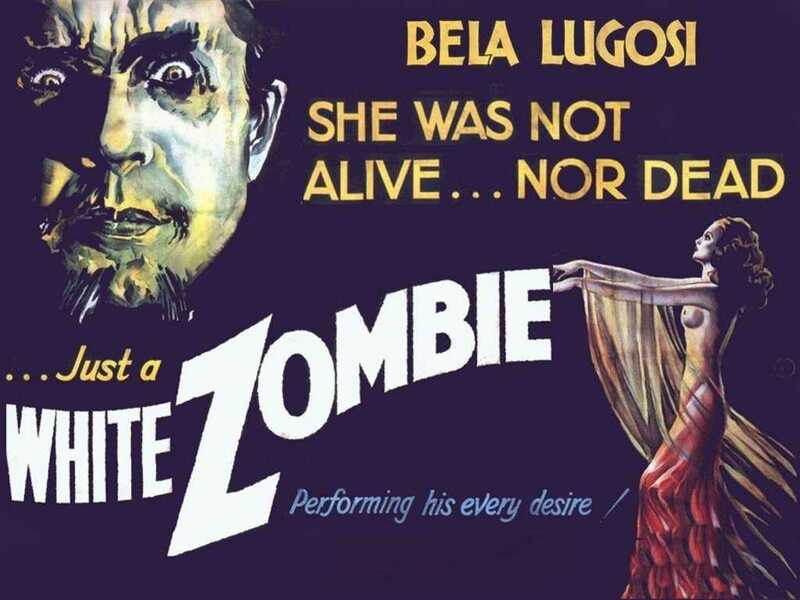 It would be the early twentieth century before the creole word ‘zombi’ — apparently derived from Nzambi, a north African Deity — would enter the language. 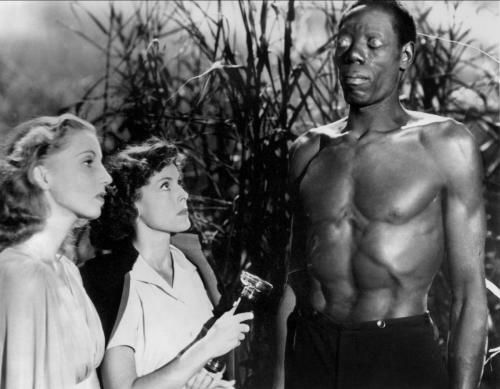 Taken from Haiti to American shores via the pages of Magic Island, a little known travelogue by William Seabrook published in 1929, the zombie was unnerving. 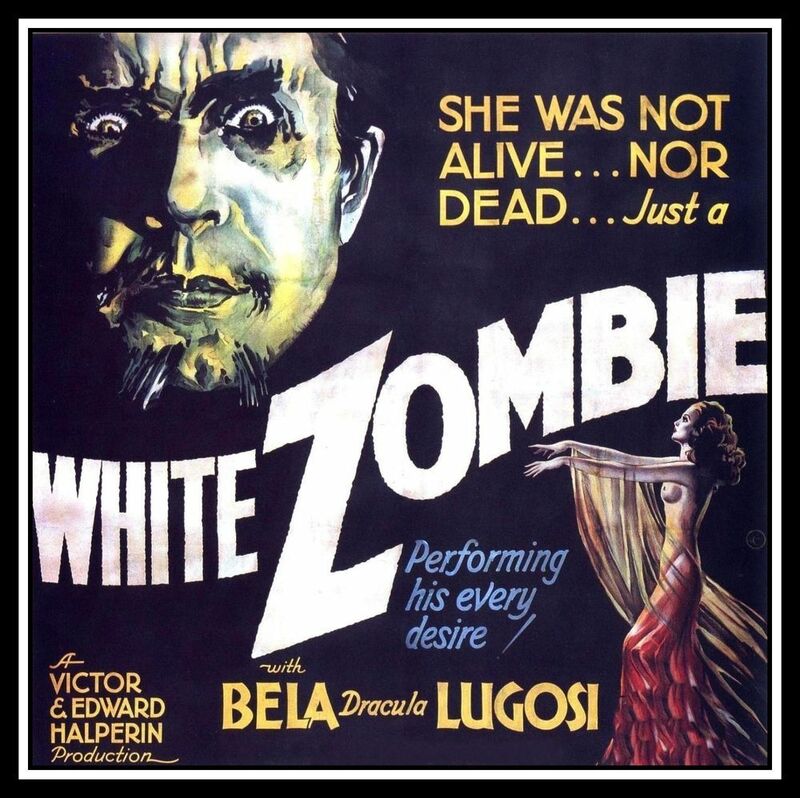 Within three years, Hollywood was quick to capitalize on Seabrook’s discovery by casting Bela Lugosi in White Zombie as Murder Legendre, a Voodoo master with the power to turn men and women into zombie slaves, incapable of free will and under his complete control. 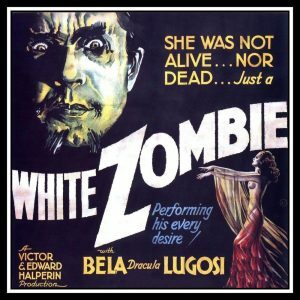 Similar themes would continue with Val Lewton’s atmospheric I Walked With a Zombie (1943) up through the glory days of Hammer Horror and 1965’s Plague of the Zombies where an English country gentleman who had spent some time in Haiti dabbles in voodoo and unleashes a scourge as the film’s title implies: an unstoppable force of re-animated corpses that, in many ways, culturally herald the endless parade of parasites to come in George Romero’s pivotal 1968 Night of the Living Dead. 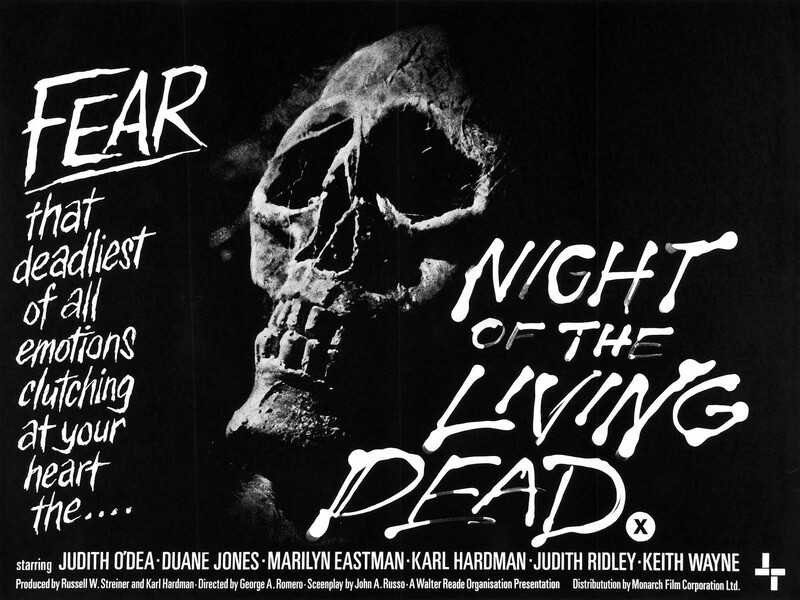 In his small, independent black and white offering that few assumed would find distribution and ever be seen at all, George Romero changed the mythology of zombies forever. 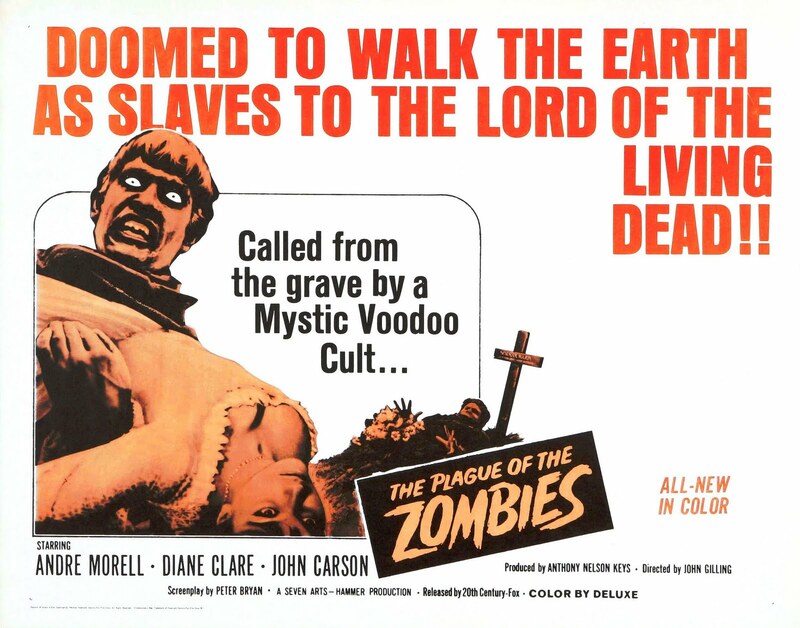 His visceral approach to the content, subversive social commentary, and deft removal of all references to the supernatural (no hearkening to Haiti… no mention of the word zombie at all) transforms the genre. No longer the occasional slave of a sadistic shaman, the resuscitated dead in Romero’s world are accidental creatures of science. A force beyond our ability to control, as what was once dead — long dead or recently buried — returns. In seemingly insurmountable numbers. Mindless creatures of unending hunger that gather in droves like walking — or in the case of the infected from 2002’s 28 Days Later —running flesh-eating machines, zombies can’t be reasoned with, can’t be appeased, won’t stop (as they feel no fatigue or sense of defeat), and — perhaps worst of all — spread loathing and despair among those that remain alive. The underlying cause of whatever created the zombies is now coldly scientific, irrevocably biological — perhaps even introduced into the population by mankind itself. 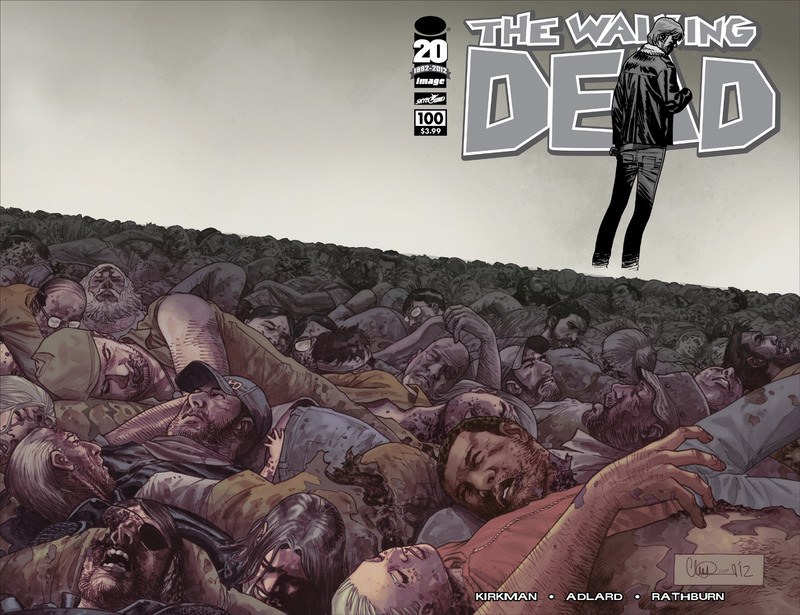 It is this palpable despair that leads to desperation, and ultimately, the breakdown of civilized norms in the work of Robert Kirkman (writer) and Tony Moore (artist) in The Walking Dead from Image Comics (published since 2003). A hugely successfully television series on AMC recently renewed for a third season, The Walking Dead blurs the lines of morality in a post-apocalyptic world. The zombies are relentless. But man can be scheming. Cruel. More dangerous than the dead. It is ultimately this notion of an apocalypse of some kind — the “zombie apocalypse” as the phrase has become popularly known, where man fights his fellow man and zombies alike — that has become cemented in popular culture, prompting everyone from the CDC to Miami news anchors to adopt the phrase. But it is in the word apocalypse that we can possibly find the black heart of the condition called kinemortophobia. It is not necessarily a fear of death. We all die, and the fear of death has been with us since the dawn of time. Instead, it’s the fear of losing one’s identity to the zombie. A loss of dignity. Being able to live well and to die well. Not in a pile of clawing hands and gnashing teeth. Is it something even simpler? The fear that comes with all monsters? The fear of The Other? No, profound though the fear of the outré is, this goes deeper. Especially when so many monsters have been humanized to become the stuff of soap operas. Romantic vampires and sensitive werewolves. Tortured souls that lament their power over others. The zombie knows nothing of this, because the zombie knows nothing. We look at the vampire and think therein lies the attractive power of possessing another through the blood and its seduction. We behold the beast that is the werewolf, and envy its sheer power and freedom from social norms. We can even sympathize with a spectral entity, a ghost traveling dimensions in an attempt to communicate. Each of these has humanity. But a zombie? A zombie is the flesh and blood and bone and muscle that are the leftovers of every body. What remains when the soul has gone. A reminder that we are bags of meat. Zombies move towards us for reasons we do not know in numbers we can’t possible count to do things to us too horrible to imagine. 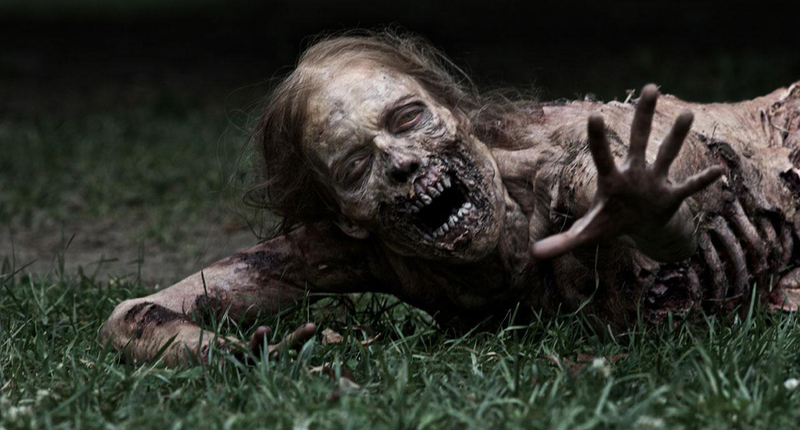 Zombies are an unstoppable force of nature, ready to wipe us from the planet, taking from us the very humanity we would learn to truly cherish in the moments before the bleak inevitability of our situation becomes clear: that death comes to all — some more violently than others. I’d like to acknowledge Tom Hutchinson and Roy Pickard’s HORRORS (http://www NULL.amazon NULL.com/Horrors-A-History-Horror-Movies/dp/0890097550) for the title “The Dead Will Not Lie Down,” the third chapter in their History of Horror Movies from 1983 — one of a small handful of treasures that introduced me to the wonderful world of horror movies. There may be no worse offense among fans of film than having a movie’s ending prematurely revealed, or spoiled. Whodunnit? How did they do it? Who gets killed? Who killed them? Do they catch him? Did they find her? Did she want to be found? Was it even her? The surprise ending or plot twist is such a standard convention of genre films (action, crime, fantasy, horror, mystery and science fiction to name a few) that AMC’s filmsite has even identified the top 100 twists of all-time (http://www NULL.filmsite NULL.org/greattwists NULL.html); among them — and arguably one of the best— is to be found in the 1995 serial killer thriller: SE7EN (http://www NULL.imdb NULL.com/title/tt0114369/). The secret to a truly memorable surprise ending is how well the script writer makes use of devices, sometimes known (but somewhat inaccurately labelled) as tropes — conventions of plot movement and direction that any ardent film buff knows, or at least would recognize. The website TVtropes.org (http://tvtropes NULL.org) pretty much identifies them all. There’s “Save the Day, Turn Away,” a classic ending of horror films with sympathetic monsters that end up, ironically, protecting the heroine (but then must flee into the night) or the western where the hero releases a town from tyranny only to ride off into the sunset. Other familiar tropes include “The Body Snatcher” — most obvious at play in Invasion of the Body Snatchers but made humorous in a flic like Freaky Friday (its literary equivalent is often referred to as the doppelgänger). One of the best examples of the unreliable narrator in film? Director David Fincher’s FIGHT CLUB (http://www NULL.imdb NULL.com/title/tt0137523/) (1999), written by Chuck Palahniuk (based upon his novel). With FIGHT CLUB (http://www NULL.imdb NULL.com/title/tt0137523/), Fincher adeptly uses audience expectations of a narrator — credited solely as The Narrator (Edward Norton) — to deliver a twist so mind-blowing that it’s near impossible to discuss the movie in any detail without ruining its ingenious conceit. Suffice to say that Norton’s foil, Tyler Durden (Brad Pitt) is not who he seems to be. 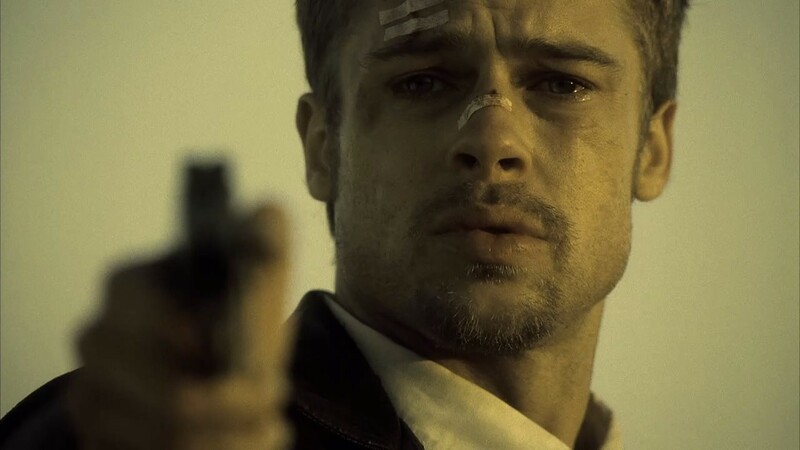 Fincher’s talent for pulling off surprises in the final reel, however, (and bringing out the best in an otherwise limited-range Brad Pitt) began four years earlier with SE7EN (http://www NULL.imdb NULL.com/title/tt0114369/) (1995). Perhaps the finest (hunt for a) serial killer film ever made, SE7EN (http://www NULL.imdb NULL.com/title/tt0114369/) (or Seven) is also one of the more artistic yet visceral examples of just how effective the twist ending can be. Much has been written about SE7EN (http://www NULL.imdb NULL.com/title/tt0114369/) and its ever-present atmosphere of fatalistic determinism. It’s a grim film — one that subverts the standard story arc of the killer being brought to justice — using the blueprint of the seven deadly sins (http://en NULL.wikipedia NULL.org/wiki/Seven_deadly_sins) to meticulously match and mark seven gruesome deaths. Scriptwriters whose villains are psychopaths, kidnappers and all manner of killers often employ the “finger in the mail” trope: body parts (fingers, ears, even organs) mailed to taunt the police or terrorize the families of victims. Most likely originating with the historical case of Jack the Ripper and a half a kidney mailed to an investigating officer along with a letter addressed from hell, the “finger in the mail” trope has been used in genre films as diverse as Dirty Harry and Escape from New York. But SE7EN (http://www NULL.imdb NULL.com/title/tt0114369/)‘s disturbing climax is in a class all by itself. Killer John Doe (Kevin Spacey), in custody, while being transported to prison by the cops that “caught” him, seems to gloat from the backseat as a delivery van arrives on a dusty road with a mystery package for the younger of the two police officers, Detective David Mills (Brad Pitt). It’s a plain brown box. The bottom’s wet. And as a palpable sense of dread descends on a desolate dusty road, the older, world-weary and wiser Detective Somerset (Morgan Freeman) opens the package to find — not a piece of a just any victim sent by the sadistic killer to taunt the police — but the decapitated head of Detective Mills’ wife. The ending of SE7EN thus deserves a filmic trope of its own. And while I just may have coined a phrase, the credit belongs to writer Andrew Kevin Walker, Director David Fincher, and, as Brad Pitt tells it, his own insistence that the head in the box remain despite audience testing that almost resulted in a rewrite that would have given the film a happy ending. Had that happened, a good film would never have become the great film it is. And I wouldn’t be writing about a head in a box.